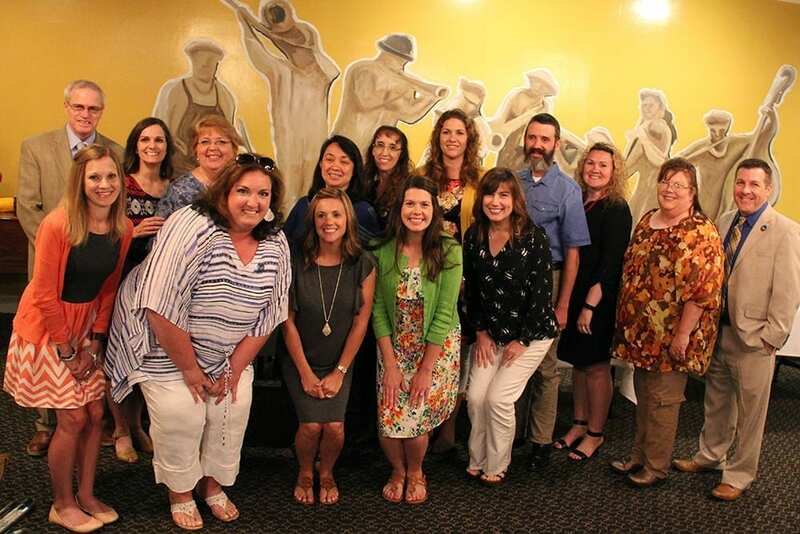 Photo by Amanda Simmons/Press-Tribune | The Bossier Optimist Club awarded $28,500 in grant money to Bossier Parish teachers for classroom enhancements to increase student engagement. The Bossier Optimist Club has continued its commitment to educational excellence and student outcomes at Bossier Schools with the awarding of $28,500 in grant money to 15 teachers for classroom enhancements and programming. In all, 65 Bossier Parish educators submitted grant proposals detailing various initiatives to improve classroom learning and increase student engagement. Monetary awards, ranging from $1,000 to $3,000 each, were doled Wednesday, June 6, at luncheon hosted in the teachers’ honor by the Optimists. Recipients of this year’s Bossier Optimist Club grants are: Lea Anne Nelson, Curtis Elementary; Marissa Marrero, Sun City Elementary; Jessica Armstrong, Britney Bass and Angi Reger, Legacy Elementary; Lindsay Burns, Plantation Park Elementary; Joanna Racouillat, Meadowview Elementary; Shelly Malone, Benton Middle; Rebekah Gibbs, Elm Grove Middle; Kelly Birdsong and Charlene Cooper, Cope Middle; Beauchamp Powers, Haughton Middle; Hannah Hagerhjelm, Airline High; and Linda Finimore and Karyn Lipsey, Airline High. Bossier Schools Superintendent Scott Smith praised the Bossier Optimist Club for consistently living up to its motto ‘Friend of Youth’ and putting its money where its mouth is. The Optimists began awarding grants to Bossier Parish teachers in 1988 and to date has funded more than $459,000 in classroom enhancements. Each week, club members work Bingo games to raise money specifically for this grant program. Read about the Bossier Optimist Club 2018 Winning Grant Submissions here.